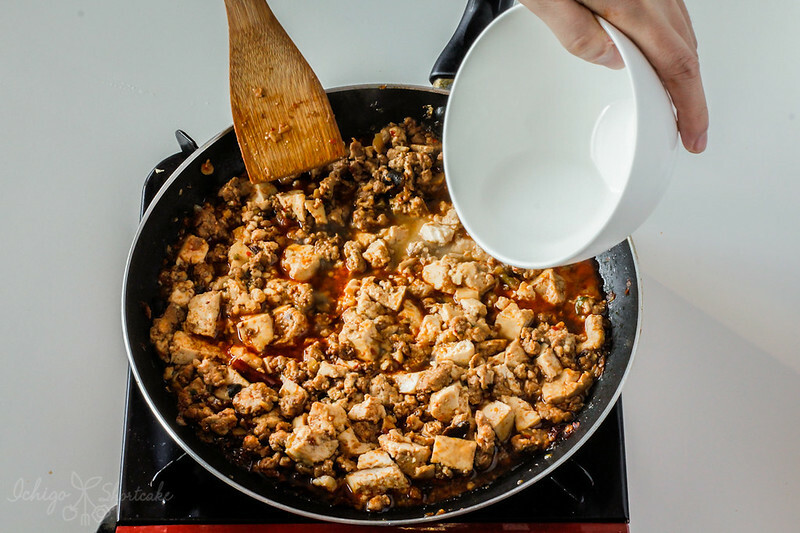 The words mapo tofu has to be one of the most well known Chinese dishes around the world, especially for those of you who like to eat chilli Sichuan food. It’s also one of Chen Kenichi’s (Iron Chef Chinese from the popular TV series) signature dishes. 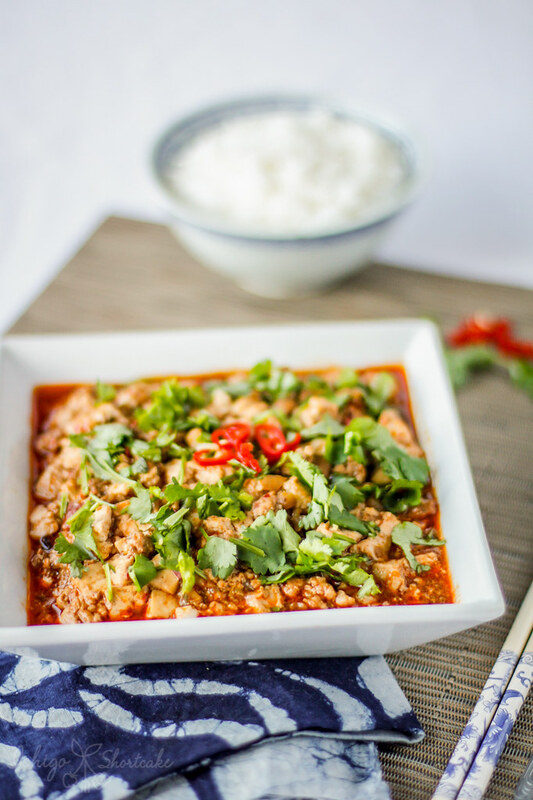 The coincidence though is that ‘ma’ actually also means ‘numb’ and is perfect for this dish as the Sichuan peppers will give you a numbing sensation that’s so essential for this dish. 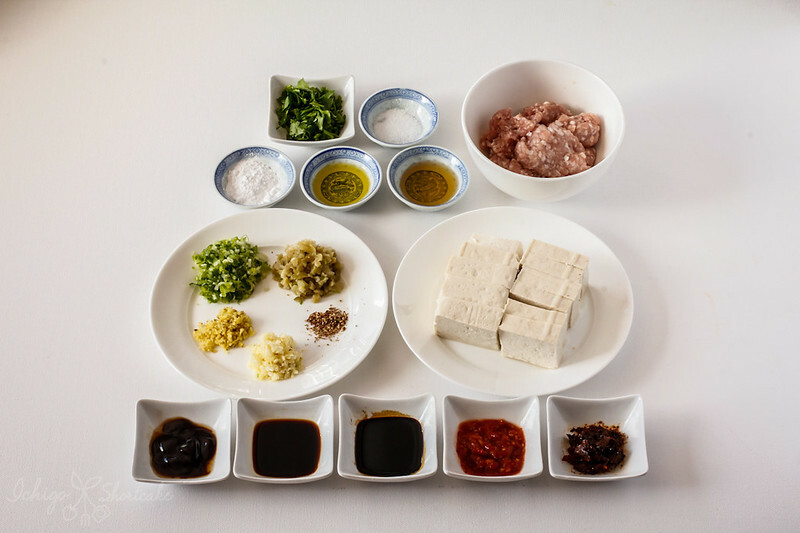 There are many varieties of this dish out there and Yuye’s version below doesn’t actually use Sichuan peppers because he doesn’t like that numbing sensation. If you’re planning on making this dish though, I would suggest putting a few in to give you that extra layer of experience. Hopefully you will like this recipe even without the numbness! 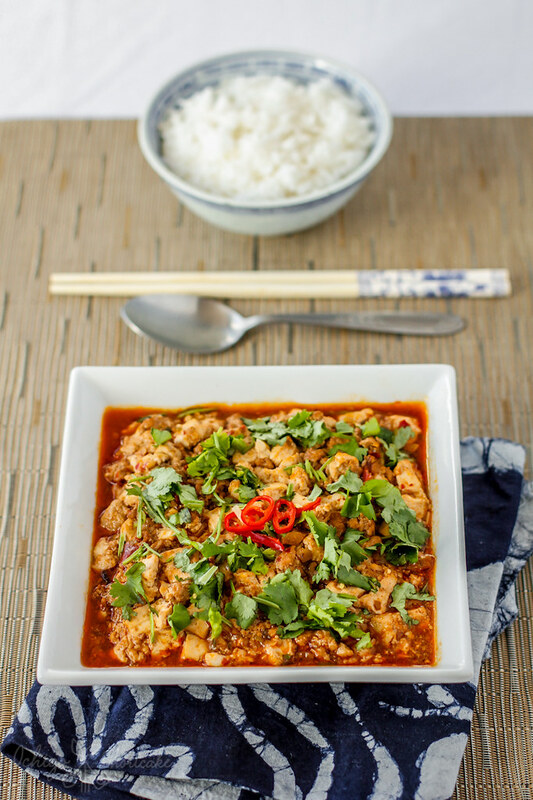 A spicy tofu dish from the Szechuan region of China. Chilli paste, Szechuan peppercorns and hot bean paste give this dish a strong kick. Serve with Mapo tofu with rice. Finely chop garlic, spring onion, ginger and Chinese pickle. Crush and chop Szechuan peppercorns. Chop coriander. Slice tofu into 1cm thick slices. 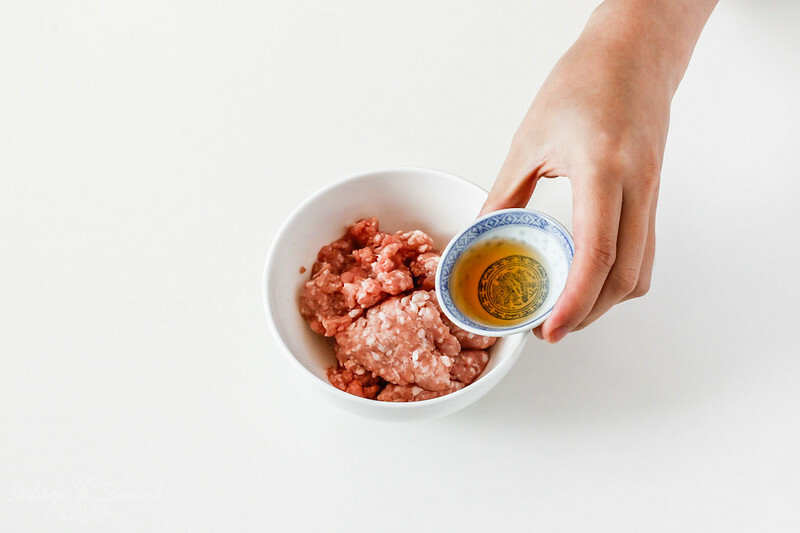 Mix pork mince with rice wine, season lightly. Let it sit for 10min. Add chilli paste and hot bean paste and fry 2 minutes. Increase to a high heat and add in pork mince. 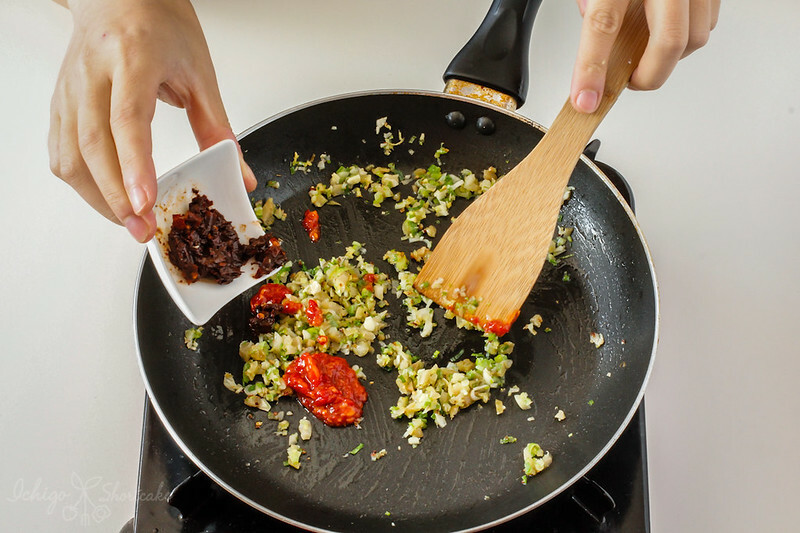 Break up into smaller pieces with a wooden spoon/spatula while cooking. 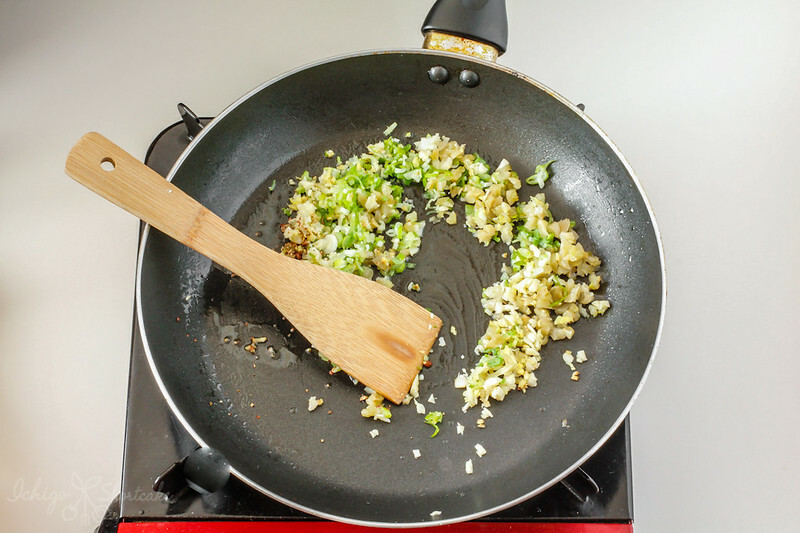 Fry until all mince is cooked through. Reduce to medium high heat and add in tofu. 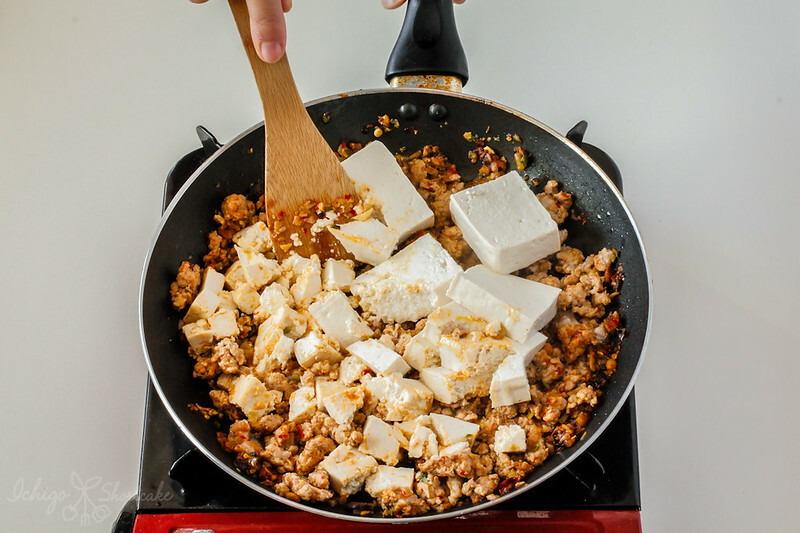 Break tofu roughly into 1cm chunks with wooden spoon/spatula. Add in light soy sauce, dark soy sauce, oyster sauce, water and sugar. Stir through and simmer for 8 minutes. * Make sure heat is not too high, otherwise hot ingredients will splatter. ** If the sauce is too thick, add a bit of water to thin it out. Conversely, to thicken the sauce, add more of the cornflour and water mixture. 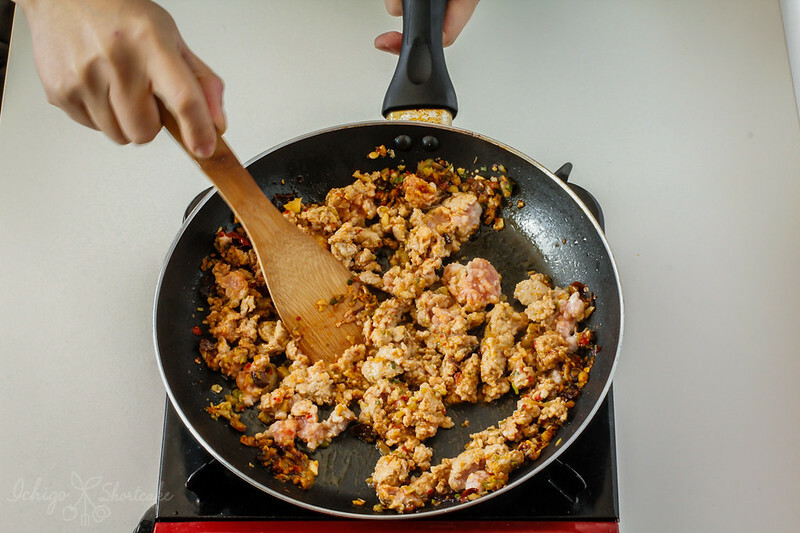 Beef mince or even chicken mince can be used instead of pork mince, although the resulting taste will be quite different. Chinese pickles can be omitted if unavailable. Ground black pepper can be used instead of Szechuan peppercorns but won't get that numbness. Or the peppercorns can be omitted altogether. 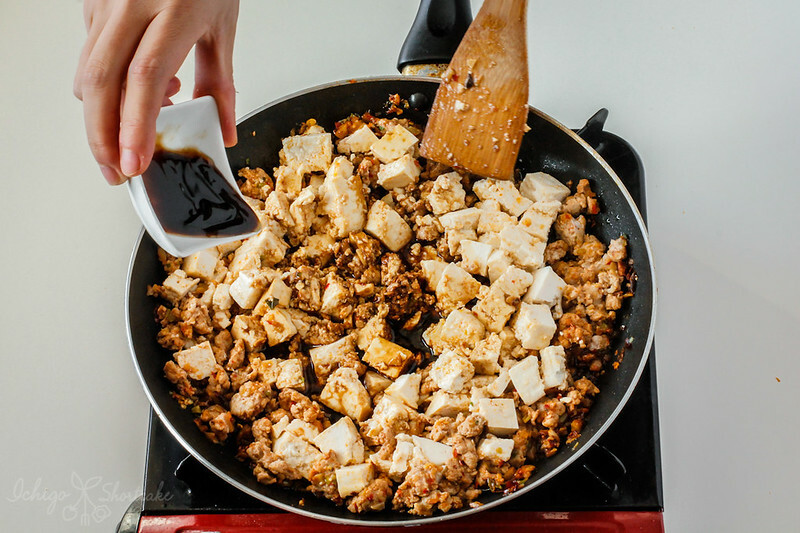 I love mapo tofu and this looks fantastic! I love your homemade recipe. And that’s really interesting about the name of the dish – who knew! Oh one of my favourite dishes! I tried it with turkey mince several times before too. >It’s getting very cold where I am, so jealous of that sunshine! Yeah, that was a lucky day. It’s usually very cloudy or gloomy, like today, another dark grey day. I would like to dive right into this dish.